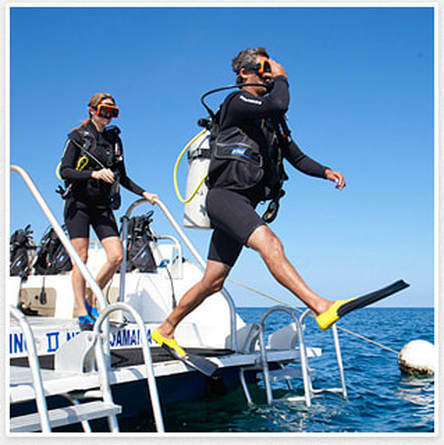 Equipped with the most comprehensive resort dive program in the Caribbean, Sandals Resorts feature diving* at spectacular dive sites in Jamaica, Antigua, Saint Lucia and the Bahamas. With PADI, DAN and National Geographic dive courses available, divers of all levels can explore a whole new world of Scuba. In addition, vacation packages include luxurious accommodations, gourmet dining options, unlimited premium brand beverages, unprecedented service and more! ​THE CLEAREST TURQUOISE WATERS IN THE WORLD AT SANDALS, SCUBA DIVING IS ALWAYS INCLUDED.